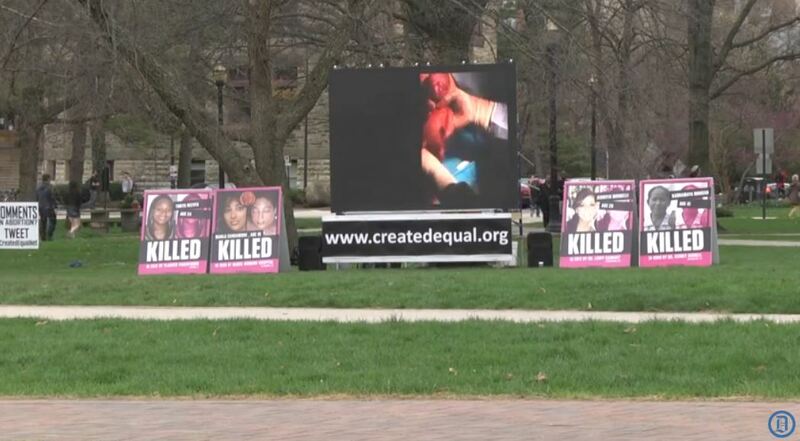 Today, Created Equal was on the campus of Ohio State University with their JumboTron, showing an abortion in progress. 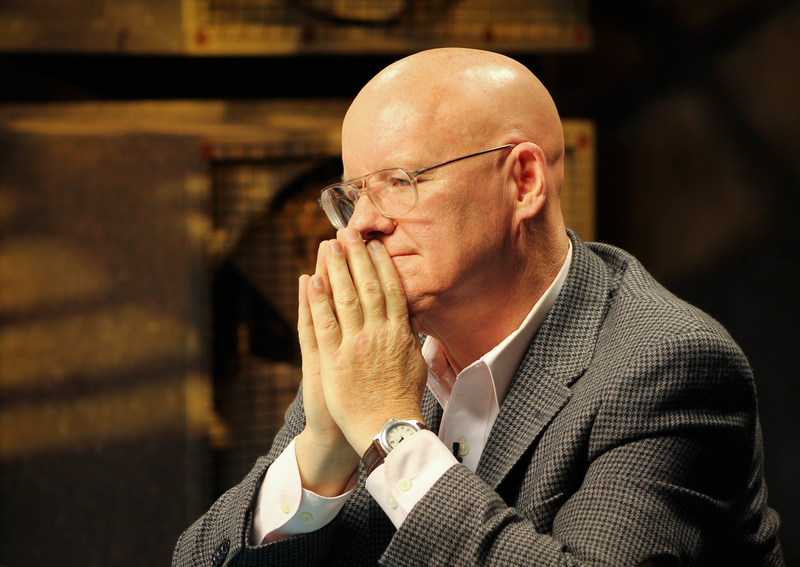 A report by Life Dynamics this morning quoted, Mark Harrington, the founder of Created Equal who said it was time to up the game and show the public an abortion in progress. Created Equal is a pro-life group that goes to college campuses and Universities and shows students the truth abortion victims. It is a controversial method – but has invoked much discussion and has changed multiple views of what abortion is. And, it looks like their method is working. Today, this The Columbus Dispatch news video (below) showed the abortion in the background, something almost unheard of in over 42 years of legalized child killing in America and media censorship of abortion. WTG- Mark Harrington and the entire Created Equal staff – keep up the great work! Another video on YouTube promotes the Bro-choice mentality that if a woman is pregnant she should be forced to have an abortion. Brochoicers are pro-choice men who favor abortion ! 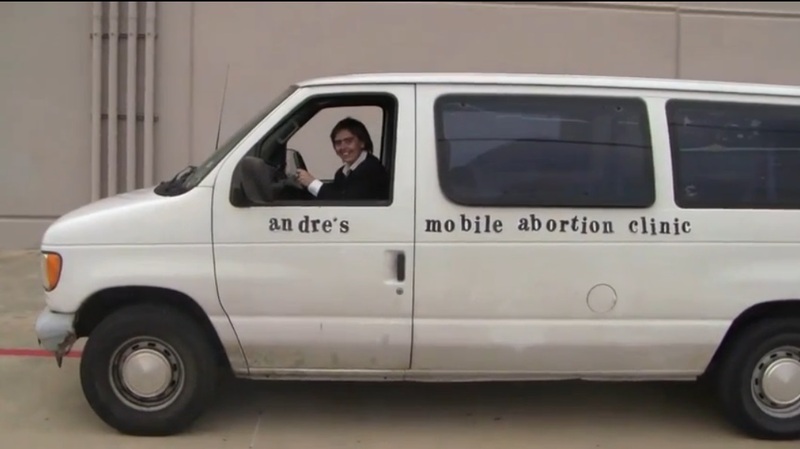 The video highlights Andre’s Mobile Abortion Clinic which will was started after Andre’s girlfriend became pregnant a number of times, “I founded this business 14 years ago when my girlfriend was pregnant for the 8th time, and no clinic would abort her baby without her consent and I ain’t hav’n none of that,” Andre the abortion clinic CEO says. In true Brochoice style the vid demonstrates their “services” by kidnapping a pregnant woman off the street. She yells “My Baby” before they force her into their mobile abortion clinic van and murder her child. Sadly, the reality is that abortions are performed on women against their will or when coerced and it happens far too many times as has been documented in a report by the pro-life group Life Dynamics ( read here). Watch the entire vid below- warning graphic images and language ! 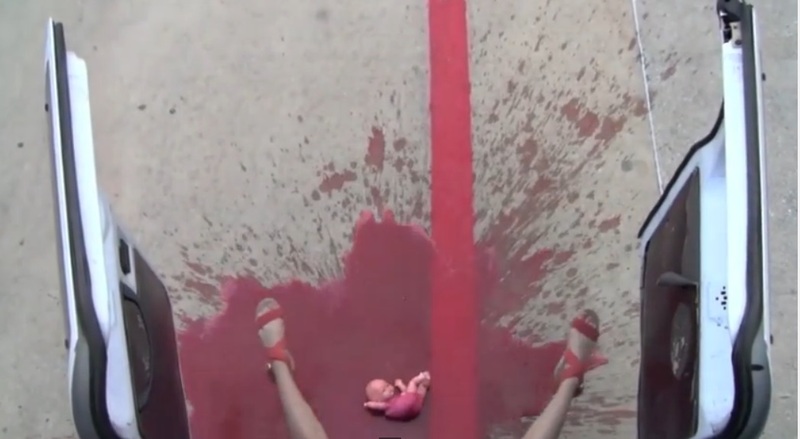 Do ot know the origin of this vid but the humanity of the unborn child is irrefutable ! It first made its round on facebook and now someone has uploaded it to YouTube- it could be an abortion – just do not have the documented background. Today, Life Dynamics Inc., a national pro-life organization located in Denton Texas has announced that they have contacted members of the Texas medical community to warn them that the abortion lobby is trying to recruit doctors with hospital admitting privileges. The abortion lobby has been in a meltdown mode due to recent changes in Texas law requiring doctors who work at abortion clinics to have hospital admitting privileges at nearby hospitals. For now, the US Supreme Court has ruled that Texas can enforce the law and Life Dynamics knows that the abortion lobby will most likely lie to solve their problems. On his December Life Talk show, Crutcher explained the project further, “What we did is created a post card called Hired Killers. This postcard is designed to discourage doctors from getting involved in abortion. We sent one of these to every doctor’s office in Texas. What we are trying to do is keep the waters stirred because what the abortion industry wants is to do is to recruit these guys and tell them, you can just slide in and you don’t have to raise a big ruckus about it. We’re making sure that these doctors understand, there will be a ruckus and this is just the first shot of the ruckus that’s coming. 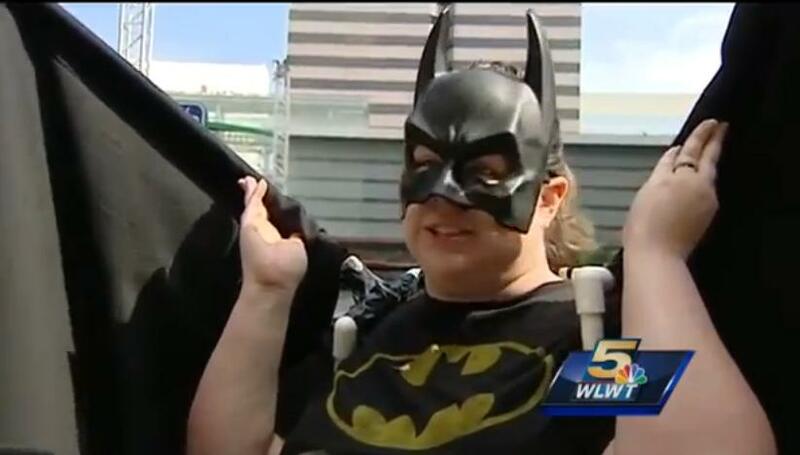 It’s a bird, it’s a plane – no its Pro-ABORTION Batman and Wonder Woman !!! 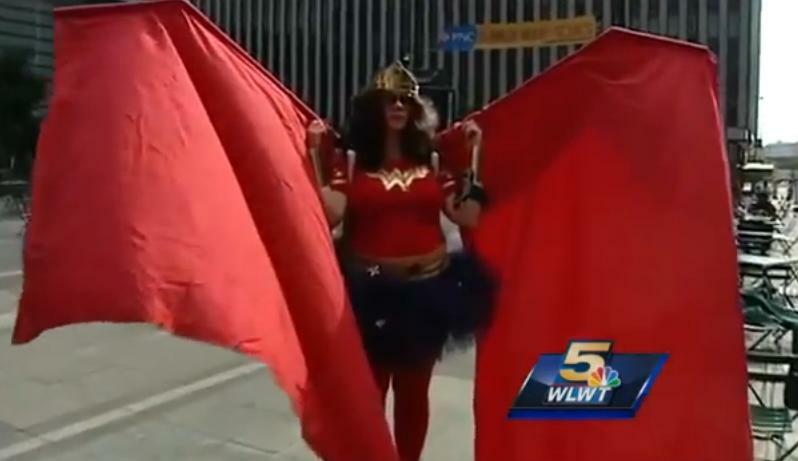 These ‪abortion‬ supporters dressed up as a “super heroes” to block the pro-life group Created Equal’s ‪displays showing the graphic truth of abortion in Cincinnati. Someone needs to inform her that Heroes save lives – not promote killing babies !